‘Just days after the 9.1 mega-earthquake and tsunami hit off the east cost of Japan, a former employee of Hitachi Ltd. (6501) came forward saying that he helped cover up a flawed steel protective vessel that was installed in the Fukushima Dai-Ichi Reactor 4 core in 1974. Mitsuhiko Tanaka told Bloomberg that the defective steel in the $250 million vessel was a very serious “time bomb” just waiting to go off, as it represents the key protective unit for the reactor’s core. According to the Bloomberg report, a mistake during the final construction process of the vessel caused the steel walls to become warped. Based on regulatory guidelines, the cylinder should have been scrapped, said Tanaka, but because doing so would have potentially bankrupted the company, his bosses asked him to come up with a quick fix — and he complied. After figuring out a way to reshape the flawed vessel and make it look as though nothing was wrong, Tanaka was awarded a three million yen bonus from Hitachi, which also gave him a certificate honoring his “extraordinary” work. Years later when asked to participate in a documentary on the Chernobyl disaster, Tanaka says he became convicted over what he had done, and decided to come forward with the truth. When he told the Japanese Trade Ministry about the coverup in 1988, they allegedly refused to do anything about it, saying that because Hitachi had denied the accusations, they must not have been true. For corporate media source see this Bloomberg article. Mitsuhiko Tanaka says he helped conceal a manufacturing defect in the $250 million steel vessel installed at the Fukushima Dai-Ichi No. 4 reactor while working for a unit of Hitachi Ltd. (6501) in 1974. 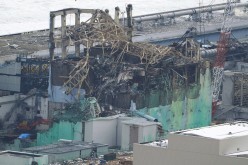 The reactor, which Tanaka has called a “time bomb,” was shut for maintenance when the March 11 earthquake triggered a 7-meter (23-foot) tsunami that disabled cooling systems at the plant, leading to explosions and radiation leaks. Tanaka’s allegations, which he says he brought to the attention of Japan’s Trade Ministry in 1988 and chronicled in a book two years later called “Why Nuclear Power is Dangerous,” have resurfaced after Japan’s worst nuclear accident on record. The No. 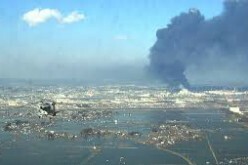 4 reactor was hit by explosions and a fire that spread from adjacent units as the crisis deepened. Also see this LA Times article. Nuclear scientists and policy experts say the quality and quantity of information coming out of Fukushima has left gaping holes in their understanding of the nuclear disaster nearly two weeks after it began. 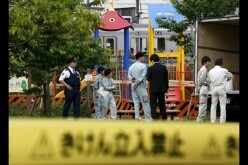 How did Japanese workers at the crippled Fukushima nuclear plant jury-rig fire hoses to cool damaged reactors? Is contaminated water from waste pools overflowing into the Pacific Ocean? Exactly who is the national incident commander? The answers to these and many other questions are unclear to U.S. nuclear scientists and policy experts, who say the quality and quantity of information coming out of Japan has left gaping holes in their understanding of the disaster nearly two weeks after it began. At the same time, they say, the depth of the crisis has clearly been growing, judging by releases of radioactivity that by some measures have reached half the level of those released in the Chernobyl accident of 1986, according to new analysis by European and American scientists. The lack of information has led to growing frustration with Tokyo Electric Power Co., known as Tepco, and the Japanese government, which has parceled out information with little context, few details and giant blind spots. It has left the international community confused about what is happening and what could come next.